On the second day of creation, after realizing that his firstborn Adam was possibly the dumbest entity in the whole universe, God decided his failure of a son would require a little help to meet the expectations of his grand design. He modelled the primal clay for the best part of thirty seconds until the muse abandoned him, and he left his second child to fate. The creature that eventually formed, bred on this rejection to create a being of pure cynicism with a heart as black as the bottomless pit. Gifted with the intellect that Adam lacked, unfortunately for him, his physical shape fell into place in the form of a pink plump piglet who is always in a foul mood and curses like a sailor. Ricky is the second protagonist of the game. 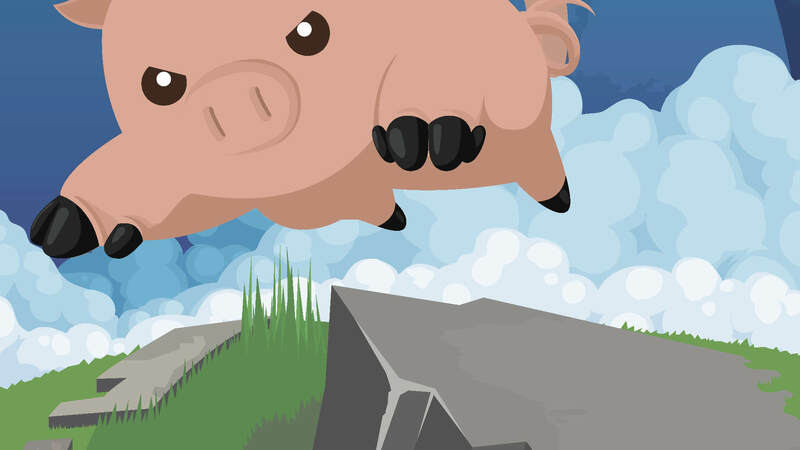 He is a melee character able to use his higher intelligence to overcome the physical limitations of being a little soft cute pig. Although he is well read and often three steps ahead of everyone else, at times his true nature of being a simple farm animal can slip through the cracks, especially when faeces are involved. He is the perfect teammate for ranged Adam, keeping foes distracted while they are pierced from afar with a rain of arrows.